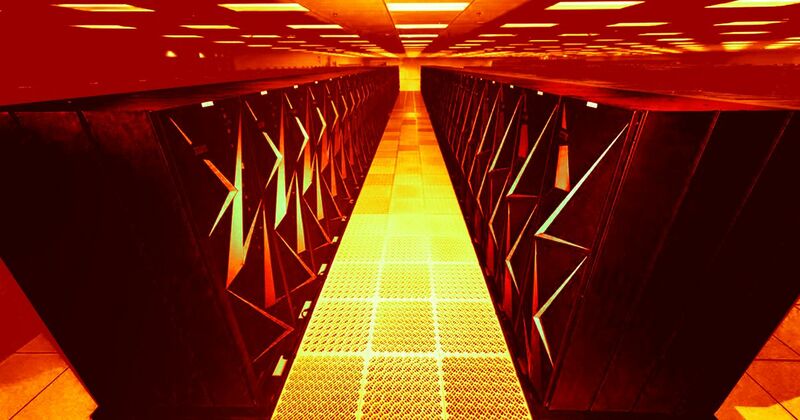 The U.S. just further solidified its place as the world leader in supercomputing. According to a newly released list of the fastest supercomputers in the world, the U.S. is now home to not just the fastest system - but its runner-up as well. A supercomputer is a computer capable of processing information at incredibly fast speeds. Twice a year since 1993, a team of computing experts from the U.S. and Germany has compiled the TOP500, a list of the 500 fastest computers in the world. In June, the U.S. claimed the top spot on the list, with its Summit supercomputer knocking China’s Sunway TaihuLight down to second place. But according to the latest TOP500, released Monday, the U.S. has pushed the Chinese machine down to third place on the list by claiming the number two spot with Sierra, a supercomputer at California’s Lawrence Livermore National Library. The TOP500 ranking is based on how many floating-point operations (flops) a computer can complete in one second. Summit’s speed improved since the release of the last list - it boasts a score of 143.5 petaflops per second on the new list. As for Sierra, it’s capable of computing at a speed of 122.3 petaflops per second. The U.S. might be home to the two fastest supercomputers, but China definitely has the States beat in terms of quantity, with more than 45 percent of the machines on the list compared to just 22 percent in the U.S. Regardless of which nation is currently on top or which has the most systems, though, the fact that the TOP500 list changes every time it’s released is a very good sign - it means the world’s computing systems are constantly improving, and that has the potential to help us all, no matter where we live.